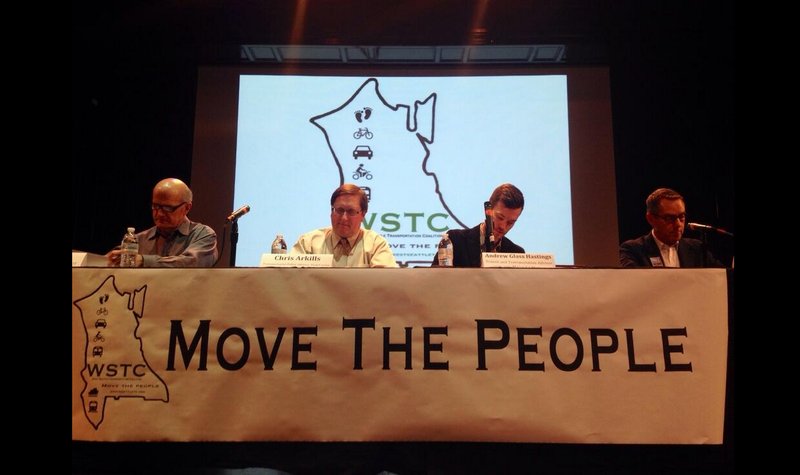 West Seattle Transportation Coalition – Move the people. 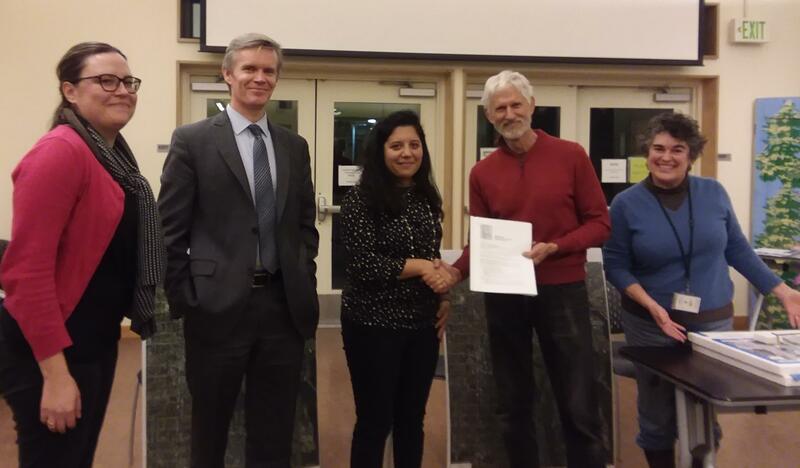 The West Seattle Transportation Coalition (the WSTC) is a Peninsula-wide organization working to address transportation and mobility issues for Seattle’s largest constituency. We represent up to 100,000 people in the 10 square mile area between the Duwamish River and Puget Sound. We are a unified voice for transportation issues to drive our elected officials and agencies to stop overlooking West Seattle. Meetings are held at the High Point Neighborhood House at 6400 Sylvan Ave SW from 6:30 PM to 8:30 PM on the fourth Thursday of every month. The reduction of mass transit services: The current insufficient level of service will be compounded by the proposed cuts in our already under served area. Loss of infrastructure: The scheduled removal of the SR-99 Viaduct without sufficient replacement capacity on other routes to and from our Peninsula. Density without transportation capacity: The region’s commitment to increased density is not matched with equivalent increases in transportation capacity to serve the Peninsula’s steadily growing population. Natural barriers: West Seattle has only limited routes connecting it to downtown and beyond for the vast majority of its commuters. Mass transit is the only option that can move us across these choke points to keep our transportation systems functioning. Want to see our Current Issues that we’re chasing? Go here. Joe Fitzgibbon speaking at the WSTC rally. 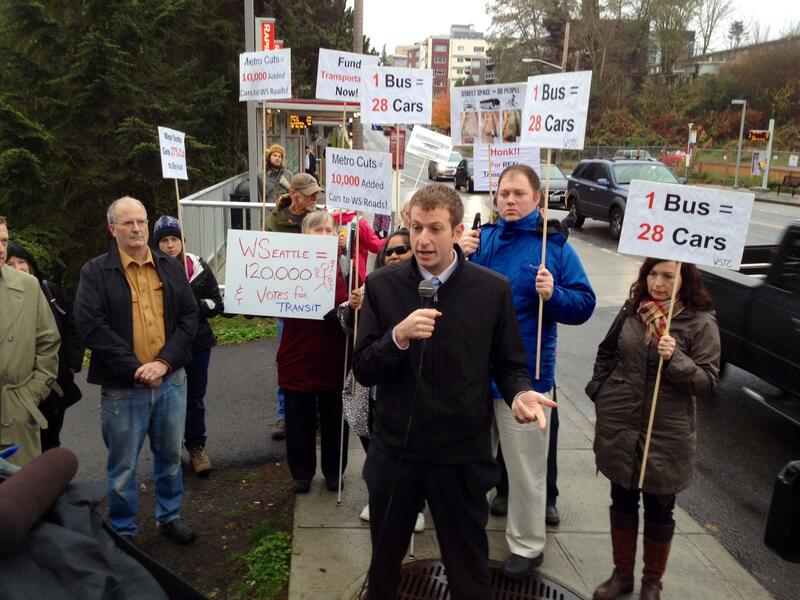 In October 2013 we sent out a Call to Action to every single elected official related to West Seattle, up to the Governor’s level, and to every single transportation related agency that touches us, detailing our long standing frustration at being ignored and overlooked. Between October and the end of the year a huge array of West Seattle groups endorsed the WSTC and joined us. We learned in November from speaking with Sound Transit that an overwhelming majority of West Seattle residents favor bringing light rail to our area, and informed Sound Transit that we fully endorse it. We finished the structure of the WSTC into four committees to drive us to solve our problems and finished our by-laws to make this group solid, to handle our growth into the future. We held a rally that was covered on all the major TV news stations (West Seattle Herald report, West Seattle Blog report). We’ve got a mailing list setup for everyone to use. In the wake of this, with all the extra media attention we helped stir up and conversations with many State and County officials, the mitigation money came through Governor Inslee’s office, and was funded another two years through 2016. The 10% “West Seattle Penalty” was eliminated, but we still had the looming 17% cuts that failed in a Proposition 1 county-wide vote — which passed overwhelmingly inside of Seattle. We’ll be voting on that again in November 2014 on the city level. Now, we’re working on the rest of the issues impacting West Seattle, South Park, and the stretch of King County between Seattle and Burien. 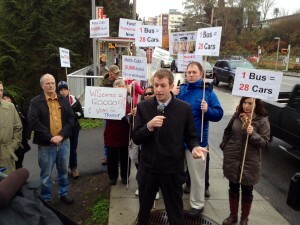 The West Seattle Transportation Coalition formed to deal with one specific problem, and will now continue to move forward until all the major West Seattle peninsula transportation issues are resolved to our satisfaction.